In summary, the USB Link 2 clone from obd2tool with more cables, yet they are cables for the original USB Link. The included 9-pin from China also will not fit or work on 2016 model year and newer trucks. Perhaps the largest design change is where the cables attach to the Heavy Duty Diagnostic Tool USB Link 2. The original USB Link used a standard 15-pin connector, and life was good. There were a ton of aftermarket cables available, all of which sold for under $40. This included replacement 6/9 pin cables, OBDII cables, Volvo 8-pin & 14-pin, Cummins 3-pin, and many more. With the new adapter, Nexiq has changed to a 26-pin connector as shown below. While we can’t find a reason for this on the Nexiq website, we can only assume that this is to handle the new CAN2 protocol standard. Since there are no aftermarket cables available for this, it means the “extra” cables got very expensive — Over $200 for most of them! Until there is a good aftermarket solution, there won’t be much that can be done. 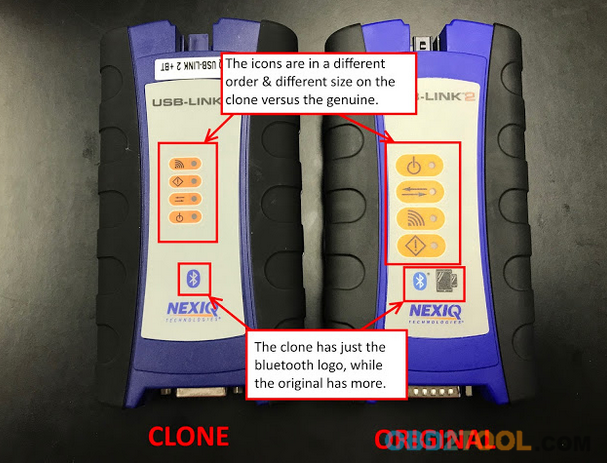 Since there is no media included with the NEXIQ-2 USB Link, you will need to download it from Nexiq’s website. As of this posting, the most current version is v1.0.16. This download will also install the most recent version of Device Tester, so that you are able to troubleshoot connection problems. 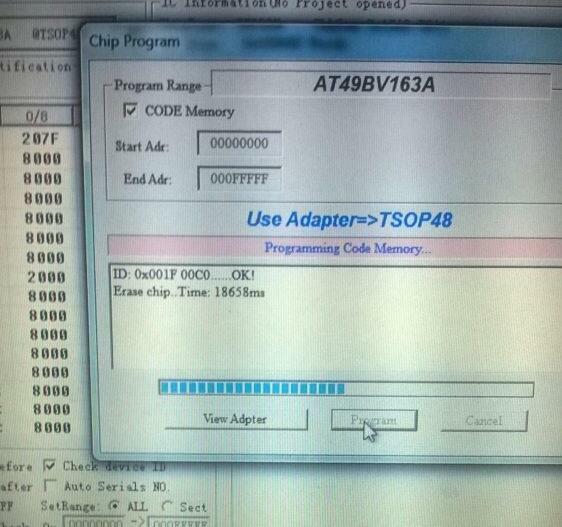 Remember: The adapter does not come with any diagnostic software. All of that must be purchased separately. With the increase of vehicles and automobiles, car owners tend to find tools that can help them prolong their vehicle’s life or assist them to save more money. Recently, there is a tool that can help car owners save more than hundreds and thousands of dollars. This tool is the best obd2 scanner and having one would be able to assist you in your daily car maintenance. You should find the best OBD2 scanner for your vehicle. Since most car service stations or dealers might charge you for hundreds of dollars to check your vehicle’s status, it would save you money if you can do it on your own. With the development of the OBD2 Scanners, you are able to find different information regarding your cars. 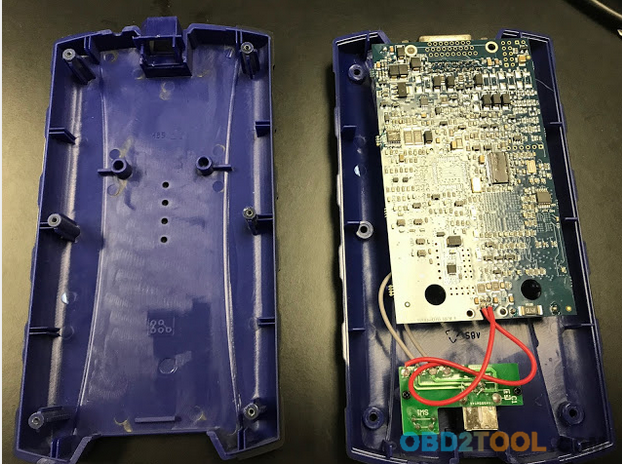 If you are interested in having your own OBD2 scanner, here obd2tool.com share you two kind of new product of OBD2 Scanners. One of the most popular OBD2 scanners in the market is the BMW ICOM new generation. Even though it has been produced Later than most of the other BMW ICOM scanners, it is still one of the most favored tools. BMW ICOM Next is Functionally compatible to ICOM A2, and Mechanical design similar ICOM A2. 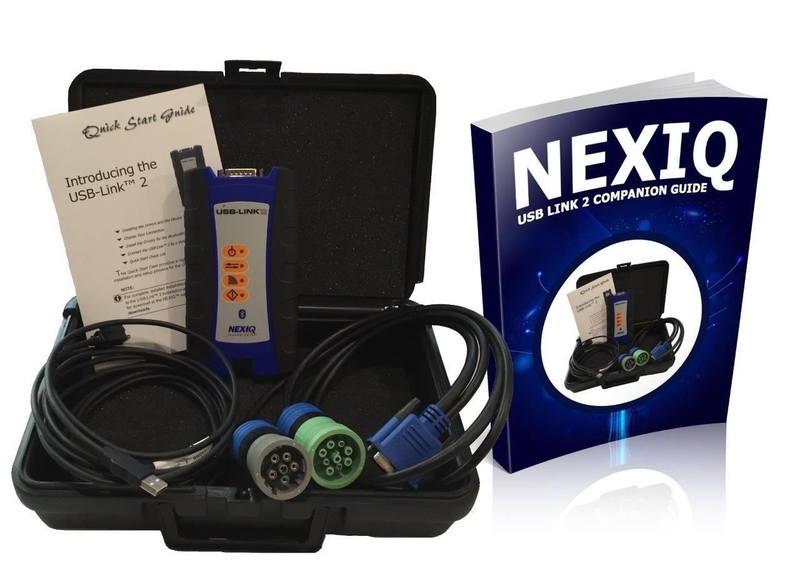 Another excellent tool is Nexiq usb link 2, even nexiq 125032 is very popular with many people.Compare with NEXIQ 125032 USB Link and T71 truck diagnostic tool , NEXIQ USB Link 2 is working more Faster and Powerful. 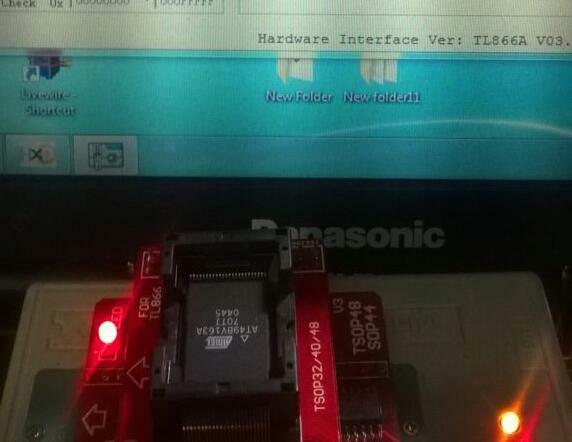 It is the the Next Generation of NEXIQ 125032 USB Link. Nexiq is the recommended product for various truck manufacturers such as International, Freightliner, and many others. 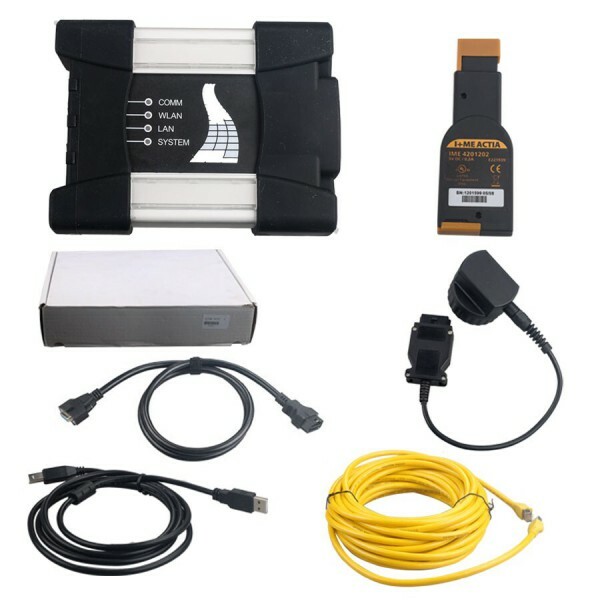 Nexiq 2 truck diagnostic tool sometimes called XTruck-2 USB Link, It is the newest heavy duty scanner in the market, it is support more heavy duty models than nexiq usb link . The USB-Link 2, the next generation vehicle interface from www.obd2tool.com, has arrived. Dependable and rugged, the NEXIQ USB Link 2 is five times faster than its predecessor. It has sixteen times more random access memory than the old USB-Link, and it supports heavier bus loads on simultaneous channels. 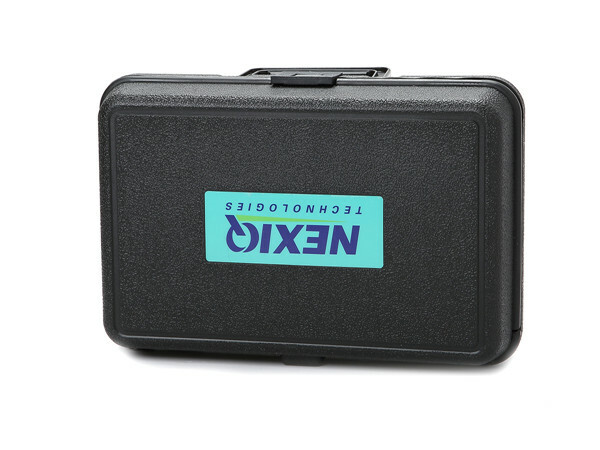 The Heavy Duty Diagnostic Tools NEXIQ Technologies 124032 USB-Link 2 Connector allows PC-to-vehicle connection with an interface compatible with multiple software applications. It will minimize your investment in multiple brand-specific diagnostic interfaces so you can do more tasks with fewer tools. NEXIQ Technologies 124032. Features: Class 1 Bluetooth provides up to 100 ft. of wireless freedom. Flexible configuration supports wired or wireless connectivity. Compatible with applications that diagnose engines, transmissions, ABS, instrument panels and more. Reduce reprogramming times with direct USB connection. Mixed fleet capabilities with broad protocol support. Quick access to vehicle data for maintenance or management reports. Quickly attaches to vehicle’s diagnostic connector. No messy cables to untangle or get in the way with Bluetooth. 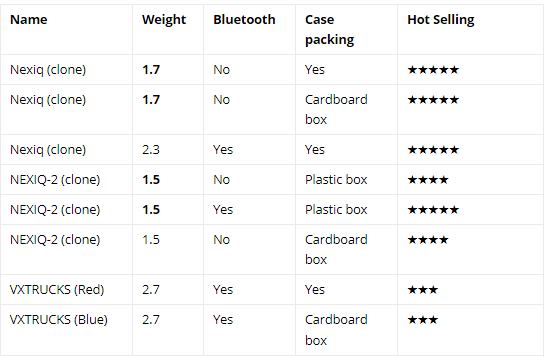 Easy portability increases flexibility. May be used with desktop PC or laptop. RP1210A, RP1210B, and J2534 API support. All Tech 2’s are not considered equal. Tech 2 gives you unprecedented access to EVERY GM module and controller, provides the best and highest volume of vehicle data, and possesses the most bi-directional functionality of any diagnostic tool for GM family cars. There have been, however, a multitude of manufactures of GM Tech2 over the almost 30 years it has been in production. 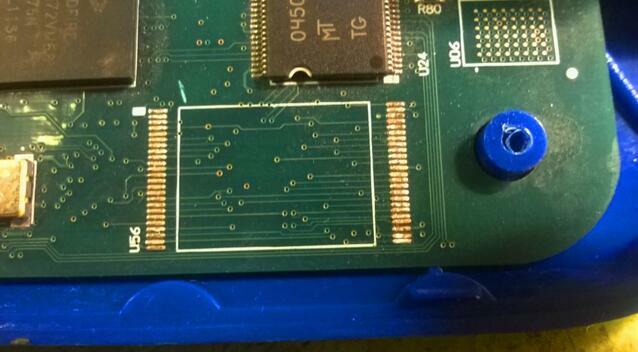 Very early Vetronix units had solder joint problems which caused random communication failures. In addition to being an inconvenience, if this occurs during a programing event, you will be left with a garbage controller! Later models are made by Bosch, who bought Vetronix. They have cheapened the unit up so much that it is marginally better than a Korean clone. As a matter of fact, most of the electronics are made in Asia or in Eastern Europe where most of the clones come from. This was done as a cost cutting measure. The result is a slew of premature failures! The units that reside in the “middle” time were made and marketed by others like Hewlett Packard and OTC. These were the most reliable and durable units around. Does Tech Tool 2 have a fuel trip data report? Yes, under Test you can find the vehicle fuel data report. You can perform a print function from this operation. Note that this data is not saved to the Product History and must be printed to paper, or to a file (ex. XPS file). Mack Vehicle Life and Trip report is under Function Group 1. Volvo Fuel Consumption Data is under Function Group 20. Both reports are identical. GM Tech 2 is not only a diagnostic tool, it is also is capable of programing new and used programmable GM controllers, configuring functionality within modules and updating GM family cars with the most current programing. You can gain access to programing on GM TIS on WEB website. 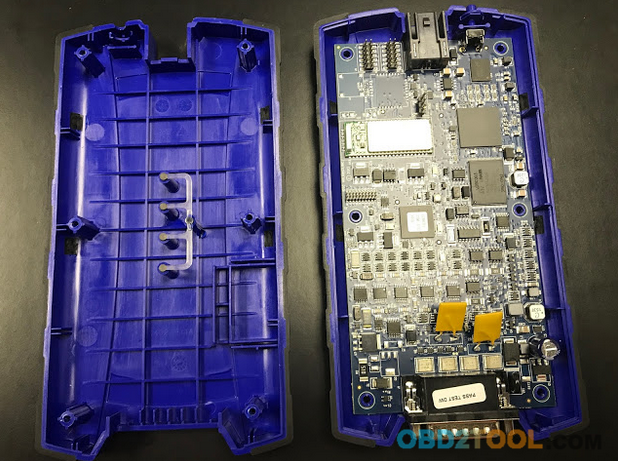 With very little effort, and cables that accommodate your type of PC, you can update or install programing in any GM family obd2 scanner or CAN compatible vehicle. Tech 2 can also be used on SAAB, Holden, Isuzu, even some Toyota vehicles with optional programing available through GM and accessible by anyone for weekly, monthly, or yearly subscription. I had a Nexiq usb link and recently purchased a Nexiq usb bluetooth link 2. I installed the driver for the link 2 on my laptop and every time I launch scanxl I cant communicate with it. Ive used the NEXIQ USB Link 2 and communicated with Detroit,Cat, heavy duty programs but I cant get it to work with any obd programs. Any ideas? The new Wi-Fi edition supports dual band Wi-Fi, designed to avoid interference and maximize throughput. For even more reliability, we’ve upgraded the USB connector to a more robust, automotive grade connector with a latching mechanism. The USB-Link 2 is compatible with a wide range of OEM software applications.